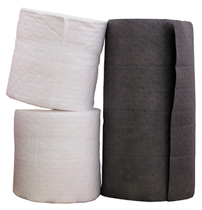 Choose Laminated Pads when you need a durable and lint free absorbent pad. Superior Durability for use around machinery and workstations. Resists abrasions and tears. 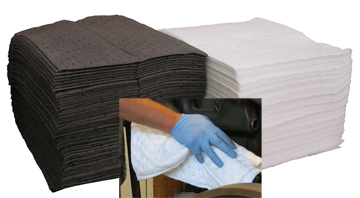 Quality sorbent is ultrasonically bonded between two layers of Lint-free spunbond fabric. 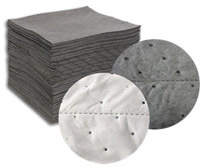 Lint free pads will not contaminate equipment. Available in Medium thickness. Perforated for ease of use and versatility. Choose Universal Laminated Pads to absorb water, petroleum products, chemicals, cleaners, body fluids, anti-freeze, etc. Shipping rates are estimates only and do not include fuel charges that can change daily. Actual rates may vary.